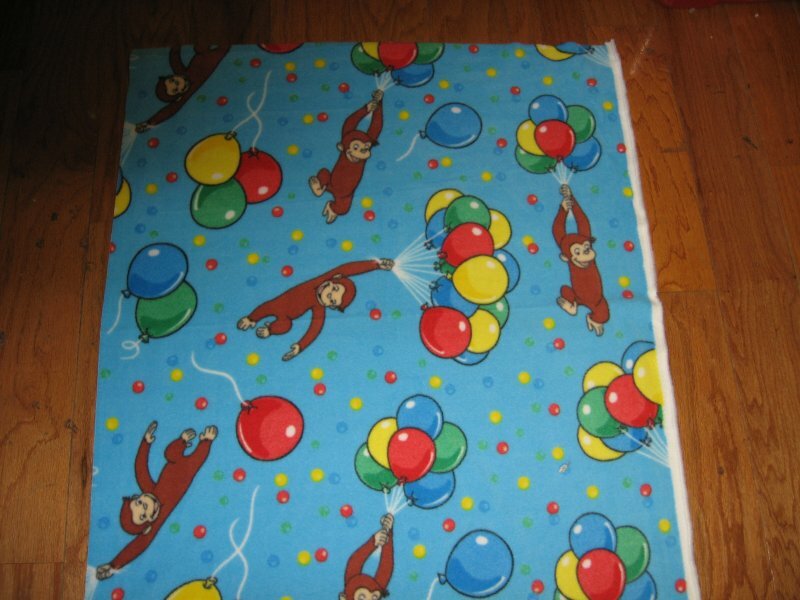 Curious George balloons Licensed handmade fleece baby blanket 29"X36"
vary with the different sizes that I have listed. Curious George and balloons blue fleece baby blanket. Great for toddler drag along. Please note: The positions of the pictures may vary as I cut down the bolt.